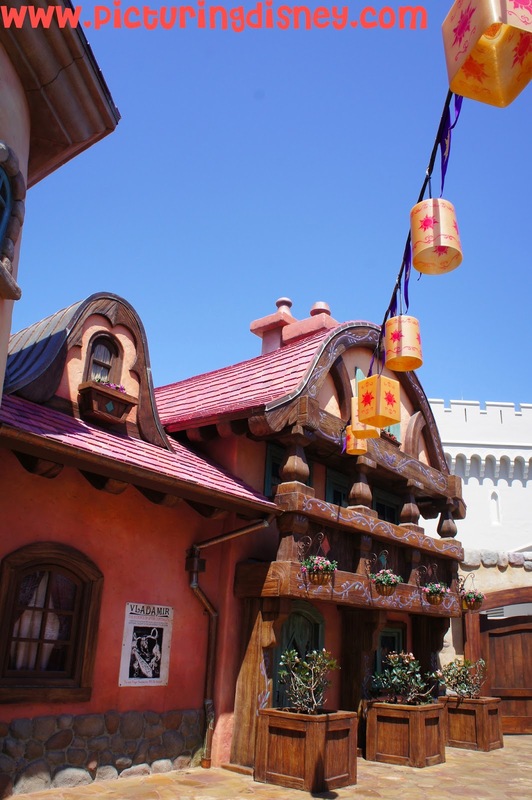 Picturing Disney: Did you spot Flynn & Rapunzel's balcony in Fantasyland? Did you spot Flynn & Rapunzel's balcony in Fantasyland? By now you have probably all heard about the new awesome bathroom and charging area in the Fantasyland expansion themed for one of my new faves- Tangled! The Rapunzel bathrooms are nothing short of amazing but did you catch these cute little pieces of awesome imagineering? Nods to some of the most fun characters in the film make there way into the area from Rapunzel's painting style to the fun bar group!